New Bern and the surrounding areas are the best kept secret in North Carolina. The homes in this quaint area can border the coast or sit nestled in a neighborhood setting that makes this area a wonderful place to raise a family or to retire. We are Proud to house a very special part of the US Military at Cherry Pointe USMC. For a small coastal area, there is a lot to do. The favorite among the locals is boating on the twin rivers that run through New Bern and travel to the local beaches. New Bern has been polled as one of the best places to retire and was segmented on The Today Show and Good Morning America. 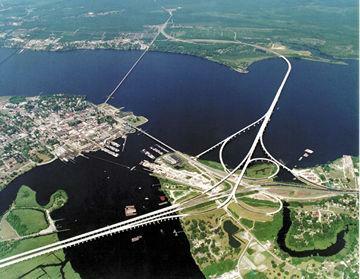 New Bern was documented as well in several magazines, such as, Southern Living. Not only New Bern was put on a favorite map, but the village town of Oriental, NC has been highlighted in several magazines. Oriental, NC is a sailor's dream. With an ocean breeze coming inland to create a fabulous sailboat pull through the Neuse River. Coastal Carolina Magazine documented Oriental, NC as a sailors secret. Visit my webpage and look for homes in the area from New Bern to the Beach on MLS live and updated daily for all of Craven County and Carteret County. For more information just fill out the form with all of your home, moving, buying or selling needs. Let me be your full service real estate professional. I look forward to hearing from you and serving you. Click on one of our services to see what Denise Staton has to offer you. You can find great local New Bern, NC real estate information on Localism.com Denise Staton Broker,GRI is a proud member of the ActiveRain Real Estate Network, a free online community to help real estate professionals grow their business.